The Innovative Technology Partnerships Office (ITPO) at NASA’s Goddard Space Flight Center in Greenbelt, Maryland, invites the educators, students and the general public to celebrate Pi Day and discover Pi-Sat. Current technology trends indicate a shift in satellite architectures from large, single-satellite missions to small, distributed spacecraft missions. At the center of this shift is the SmallSat/CubeSat architecture. 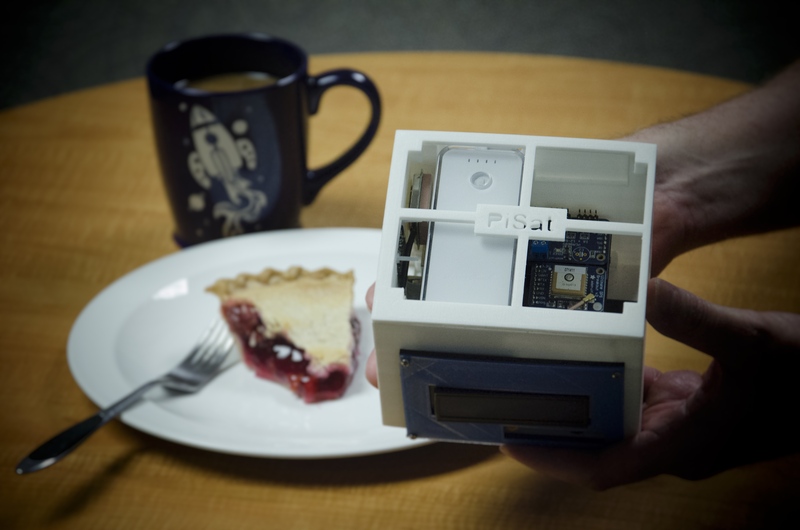 The Pi-Sat cube fits in with a piece of pie on Pi Day 2016. The primary goal of the Pi-Sat project is to create a low-cost and easy-to-use distributed spacecraft mission (DSM) test bed to facilitate the research and development of next-generation DSM technologies and concepts. This test bed also serves as a realistic software development platform for small satellite and CubeSat architectures. The Pi-Sat is based on the popular Raspberry Pi single-board computer. 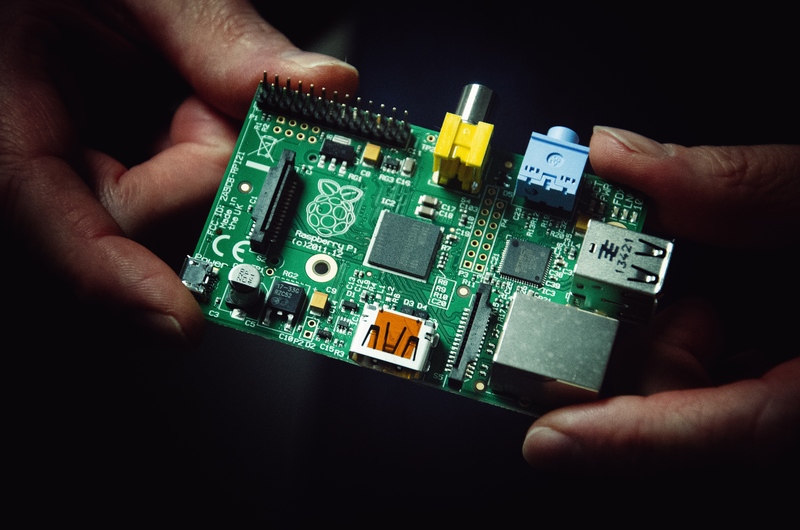 Raspberry Pi runs the Linux operating system and can easily run the Goddard-developed Core Flight System (CFS) software architecture. The Pi-Sat models currently include a Pi-Sat 1U Cube, a Pi-Sat Wireless Node, and a Pi-Sat CubeSat processor card. A close-up of the Raspberry Pi computer that gives the satellite its name. The Pi-Sat project takes advantage of many popular trends, including 3-D printing, rapid prototyping in order to provide a realistic platform for flight software testing, training and technology development.